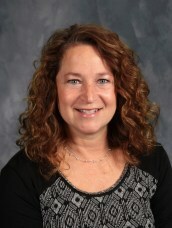 Debbie Morrow has been a Pre-K teacher for Westside Catholic Preschool since 2006. She has an Associate Degree in Early Childhood Education and is working towards a Bachelor’s Degree in Early Childhood. Debbie is married to her husband Tony and they have two wonderful children, Hannah and Max. Hannah attends college and Max is at Mater Dei High School. They both graduated from Westside Catholic School. They are all members of St. Boniface Parish.